STAR WARS ROGUE ONE INTERACTECH IMPERIAL STORMTROOPER ACTION FIGURE REVIEW A storm trooper action figure from the new Star Wars spin off movie, with a jet pack & interactive features…erm what’s not to totally love! It would not be an exaggeration to say that our love of toys and this website would ..
A storm trooper action figure from the new Star Wars spin off movie, with a jet pack & interactive features…erm what’s not to totally love! It would not be an exaggeration to say that our love of toys and this website would not have happened if it were not for Star Wars toys. Star Wars is the ultimate good vs bad movie franchise. As the song goes, ‘nobody does it better’! As excitement mounts ahead of this December’s cinematic release of Rogue One, we got the chance to review the Rogue One Interactech Imperial Stormtrooper from Hasbro. For those from a different star system (we couldn’t resist that one! ), Stormtroopers are eliete shock troops fanatically loyal to the Empire and impossible to sway from the cause. They wear imposing white armor & wield blaster rifles and pistols. The figure is 12″ high and features 65 sounds and phrases presumably from Rogue One (we haven’t seen the movie at the time of writing this review). It is also fitted with a motion sensor so that as the child plays with the figure, it will emit two kinds of sounds – when they pick it up the Storm Trooper will make flying noises (spoiler alert…all indications suggest Storm Troopers with jet packs will be in the movie judging by this toy which comes with a jet pack accessory, as well as a blaster weapon) and if the child shakes it then the figure emits battle sounds. This kind of action figure toy can act as a great facilitator for imaginative play for younger children. This kind of play is very valuable to the development of children as it gives them a way to express themselves, explore their own thoughts and feelings without admitting to them and of course can be great fun away from screen time. The toy we were given for testing came with 2 x AA ‘demo’ batteries, but we got a fair amount of lay out of them. WHO’S IT FOR: The manufacturer age grade is 4+. We think this will be suitable for children aged 4+ who like or love Star Wars, as well as adult fans! 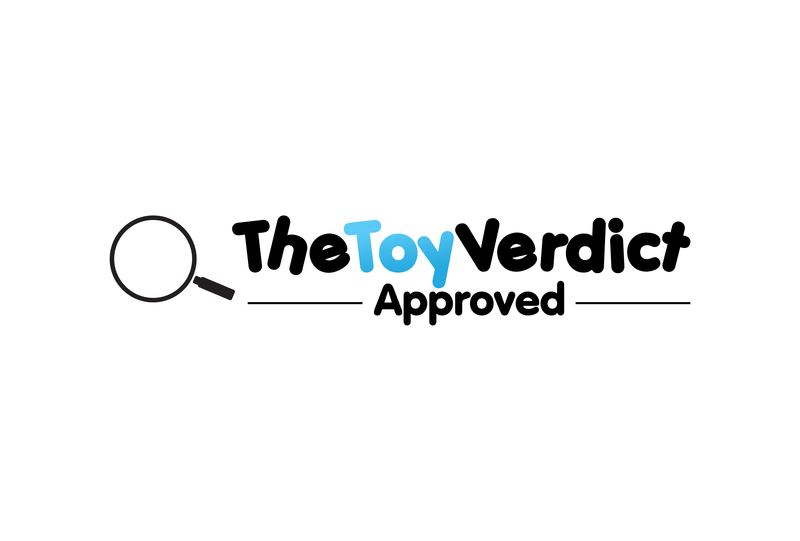 THE TOY VERDICT: Great! We love the Star Wars Rogue One Interactech Imperial Stormtrooper Action Figure from Hasbro. The technology featured is not Tech for Tech’s sake, rather it enhances the play pattern. Recommended!